I often think that the Center for the Study of Modern Art plays a pivotal role in a global network of contemporary art dialogue. Frequently when I thumb through an arts publication or read through various arts e-newsletters I recognize names of those who have participated in programs at the Center–and feel so fortunate to have worked with artists who continue to create and produce engaging work. 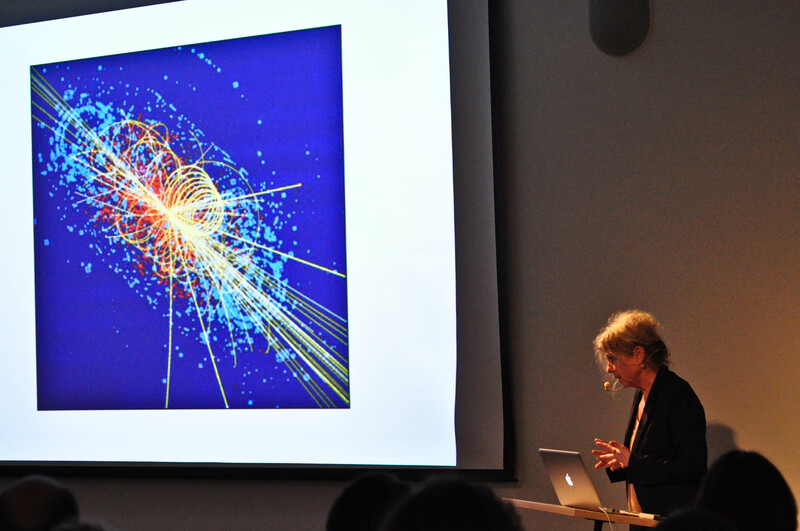 When she visited in the spring of 2011, ALICE AYCOCK spoke about the evolution of her ideas and artistic practice for her large-scale installations and outdoor sculptures. Aycock revealed that throughout her practice she has always used drawing as a point of departure, as a means of working through ideas for the large-scale projects. Many of these drawings—exquisite, and fascinatingly revealing—are currently on view at the Parrish Art Museum in Southampton, New York, and at Grey Art Gallery, New York University. The show is curated by former Phillips Trustee and former Illinois-at-the-Phillips Director, Jonathan Fineberg. When he visited us in February of this year TEHCHING HSIEH brought videos for each of his performances in the series One Year Performance 1980-1981. He explained the process, experience, and at times emotional and physical hardship of using his body as a medium. His presentation and conversation with Anne Goodyear elicited one of the most lively question and answer sessions I’ve seen throughout the four years of organizing this series. His One Year Performance 1980-1981, Waiting to Punch the Time Clock, 1981, is on view at Ullens Center for Contemporary Art, June 28 to August 25, 2013 (and coincidentally, collector and co-founder of Ullens Center for Contemporary Art GUY ULLENS participated in our 2009 International Forum symposium). Probably one of the most thought-provoking, moving, and transformative lectures I’ve had the pleasure of organizing was the fall 2010 Duncan Phillips Lecture by artist ALFREDO JAAR. You can hear the lecture on our multimedia page, here. Jaar is representing Chile in the 2013 Venice Biennale, June 1 to November 24, 2013. WANGECHI MUTU and WALID RAAD have both participated in our Conversations with Artists series – Mutu this past season with her visit in April, and Raad just over two years ago with an unforgettable performance. Both artists have work in A Different Kind of Order, The ICP Triennial, on view May 17 to September 8, 2013. Mutu also has her first U.S. survey featuring over 50 works from the mid-1990s to the present at the Nasher Museum of Art at Duke University, North Carolina. The show, A Fantastic Journey, is on view through July 21. MICHAEL RAKOWITZ, another artist who participated in the Conversations series and visited us in April of 2010, spoke about his days as a graduate student and the experience of making ParaSITE, among other projects. A great review of his work written by Dieter Roelstraete, Object to Be Restored, is in the summer 2013 issue of Artforum. MATTHEW RITCHIE, another artist who visited us in April of 2011, exhibited a terrific collaborative performance The Long Count, at Barbican Theatre in London in early February, 2012. As part of SFMoMA’s expansion project, JESSICA STOCKHOLDER will have work in the group show Project Los Altos, SFMoMA in Silicon Valley, scheduled for November 9, 2013 -March 2, 2014.